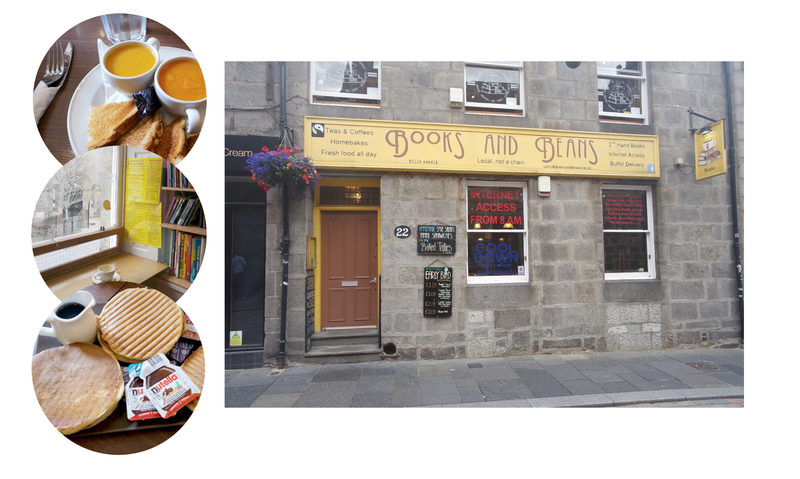 A few weeks ago I was invited by a fellow Aberdeen blogger, Katherine from Katherine Elizabeth Official to Books and Beans in Aberdeen for a little Aberdeen Bloggers Lunch. Books and Beans is a coffee shop in the heart of the City Centre where you can have some delicious food, great coffee, buy some local art or even some second hand books. So after we girls caught up and had a natter we ordered our drinks and I couldn't resist the toasted marshmallow cheeky chino, a nice icy drink that you can choose the different syrup and whether you want coffee in it or not. Swiftly after almost going into a sugary marshmallow coma the food started coming up. To start we sampled their soups of the day, Sweet Potato and Coconut and Spicy lentil and red pepper. The spicy lentil and red pepper was my favourite as it really warmed your cockles - would be perfect in the colder months! This was served with some toasted seeded bread - really hit the spot! Next up we had some wraps and panini's! For the wraps we had a choice of Brie, Apple, Spinach and Honey and some Chicken and Bacon Salad - Look how good they look!! The Panini's were Ham, cheese and Mustard and Balsamic vinegar, mozzarella, olives, tomato and basil. If you're a massive mustard fan then I recommend the first one. 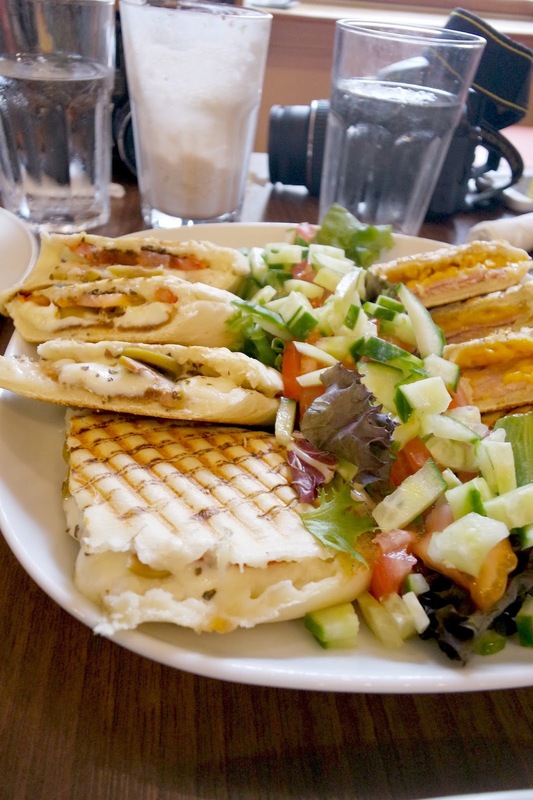 It adds a nice change to your typical ham and cheese panini! I didn't try the balsamic vinegar one as I'm not a fan of that or olives but the girls sure did enjoy them. 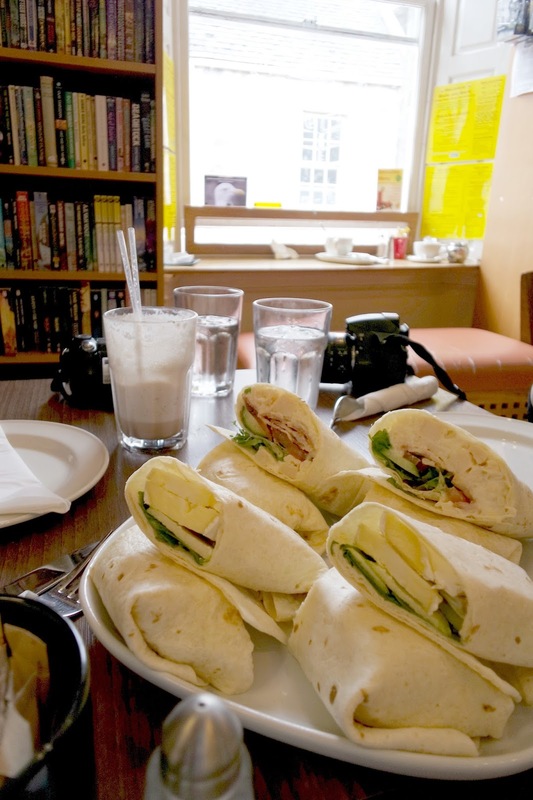 Books and Beans have a very wide variety of both panini's and wraps so you are spoilt for choice! Obviously we couldn't not try their cakes and pancakes - that would have been rude! The lovely waitress took up this massive plate full of pancake stacks, different flavours of jam, nutella (my favourite) and a few little jugs of hot maple syrup - who's drooling?! 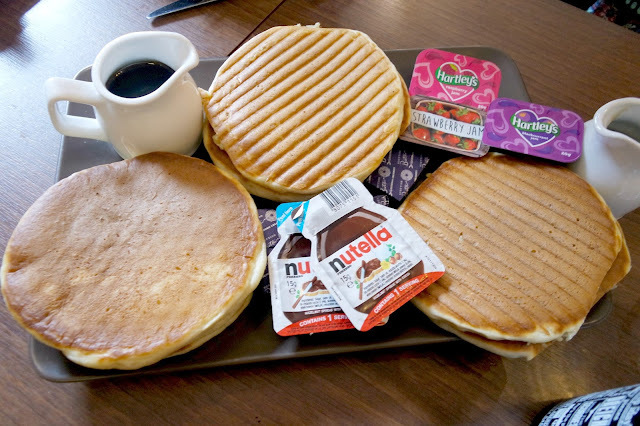 These were honestly some of the best pancakes ever - try them for yourself! And then as if we hadn't been spoilt enough this plate full of tray bakes and muffins came up!! 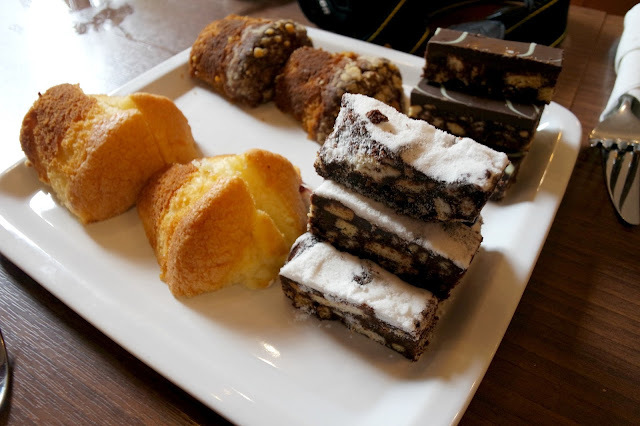 We had some rocky road slices, Mint tray bake, Victoria Sponge muffin (oh my goodness) and some treacle toffee apple muffins!! Safe to say I tried and loved every single one - I even took some home. After being rolled off of my chair I took a walk around the second floor (Books and Bean being over three floors) and I loved that there was literally something for everyone. 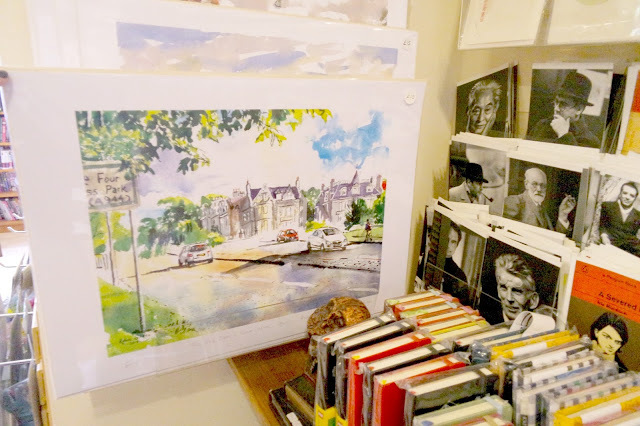 Book covered walls for all ages, little toys and puzzles scattered over for children, postcards and notebooks for all the stationary lovers out there and my favourite part - the artwork. The walls are decorated beautifully with artwork of Aberdeen, I'd love to have some in my house. 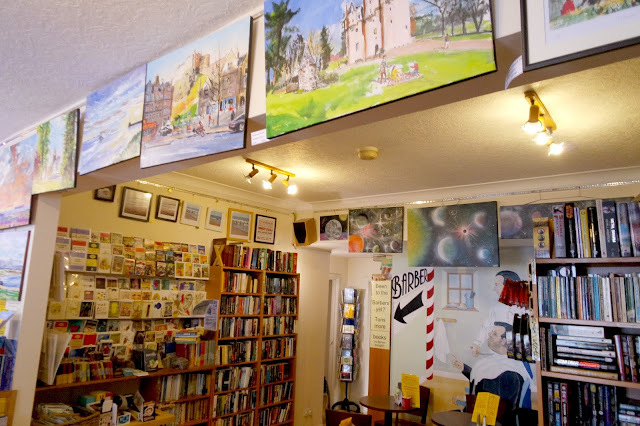 So if you live in Aberdeen or find yourself visiting and are looking for a little spot to relax and eat some damn good food then head to Books and Beans. As sad as I am to say this, Summer is almost over (especially if you like in Scotland like I do) - But we did have a good-ish summer! 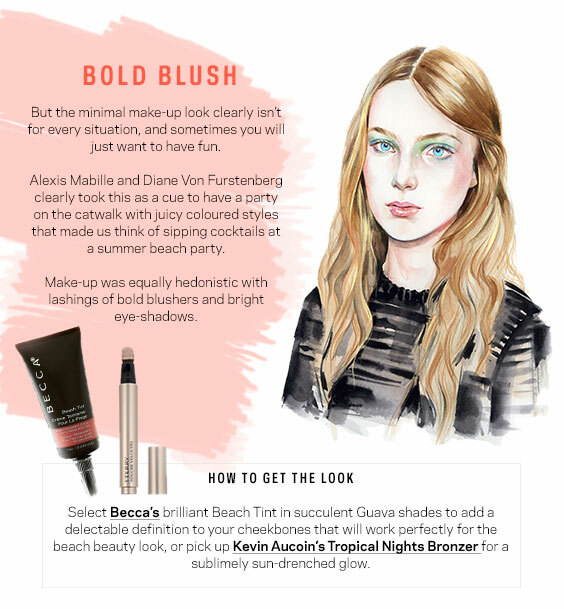 What was really good was the summer beauty trends and now that Farfetch has launched Beauty you can get your hands on everything you need to create the latest trends! 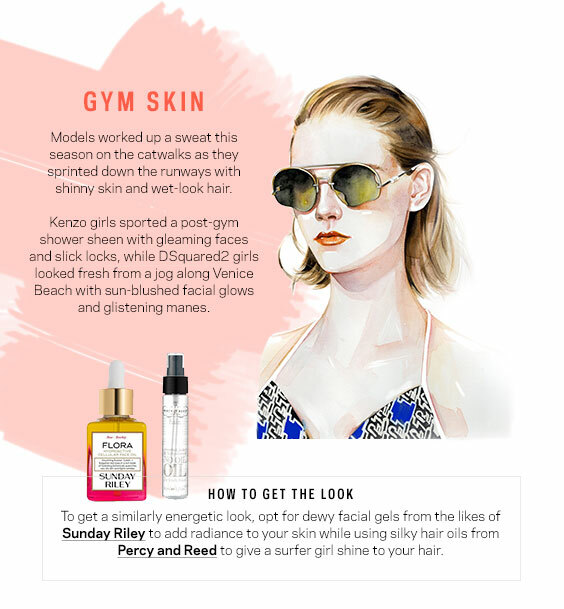 Farfetch have put together four of their best Spring Summer looks and what products you can use. Take a look! 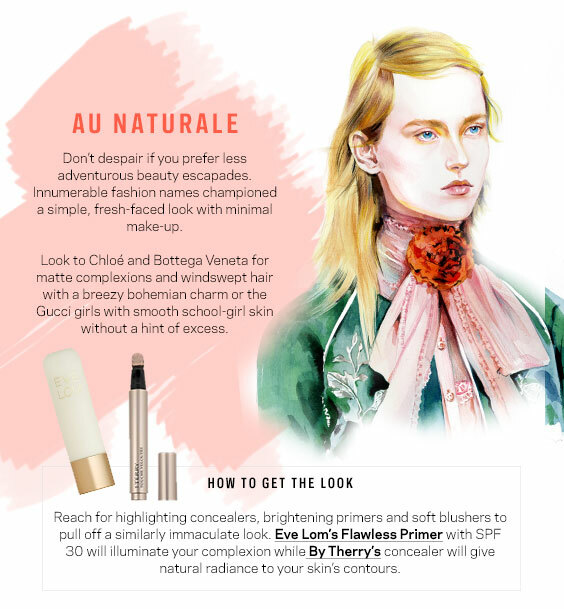 My favourite look of Spring Summer has to be Au Naturale - I've enjoyed embracing the no make up, make up look. I've been using lightweight foundation to keep my skin looking natural and letting a few freckles show through, matte bronzer to gently carve out my cheekbones and a light stoke of highlight to make them pop. Again, a matte bronzer in the crease of my eye to define it and a light coat of mascara and I'm good to go. Looks like in the words of Beyonce, 'I woke up like this' and there was minimal effort - but if only they knew! 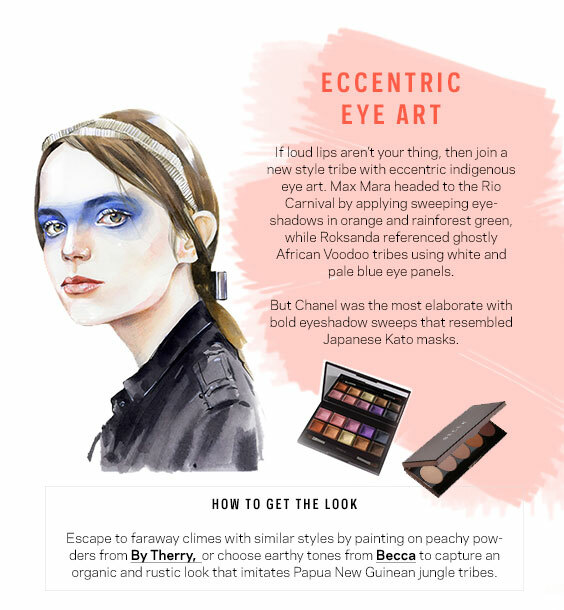 Be sure to check out all things Beauty at Farfetch!! 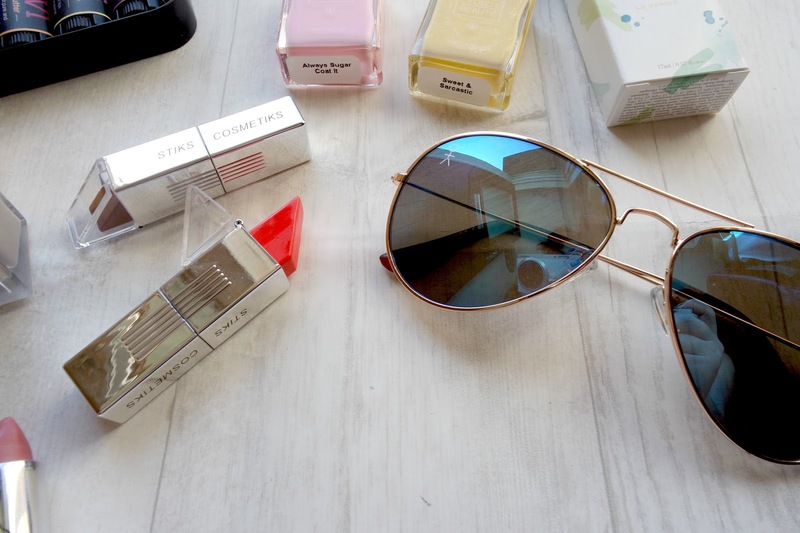 I have been so excited to write this post and I'm so happy to share it with you all! I got the amazing opportunity to have a Bloggers Sleepover at Skene House in Rosemount so I invited some of my Aberdeen Blogger gal pals and planned a night of fun! 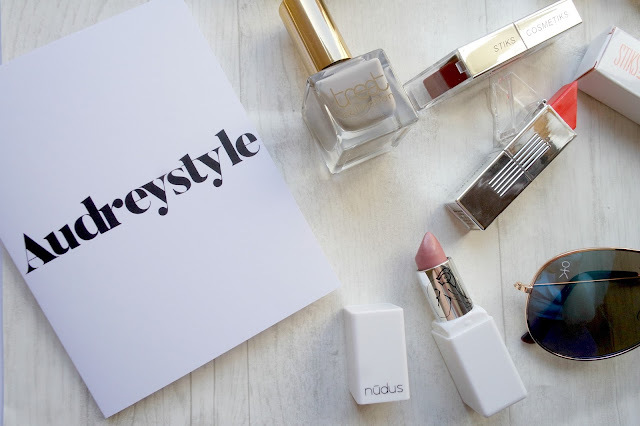 We had the perfect girl's night - our very own 'staycation'. 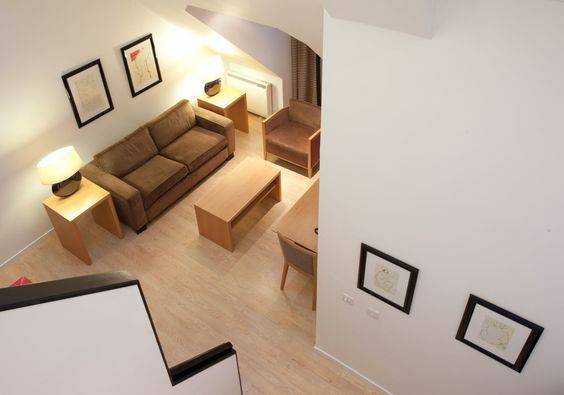 Our apartment was very spacious and had three bedrooms, one double and two twin, two bathrooms, a kitchen and there was also a large living room with a dining table and television - perfect for relaxing after a long day in the office or even for having some friends or family round. Each of the rooms were very bright and had so much space - I couldn't believe how roomy it was, you definitely don't get anything like it in a hotel. 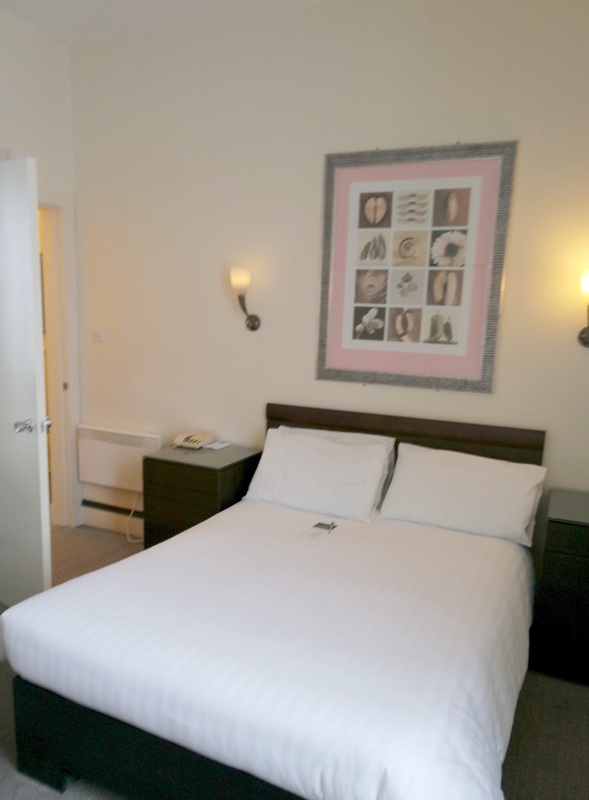 The rooms were spotless and so fresh and the beds were very comfortable. In two of the three bedrooms there was a dressing table and mirror which was perfect for getting ready at in the morning although just like typical girls we all ended up around the same mirror discussing new makeup goodies. 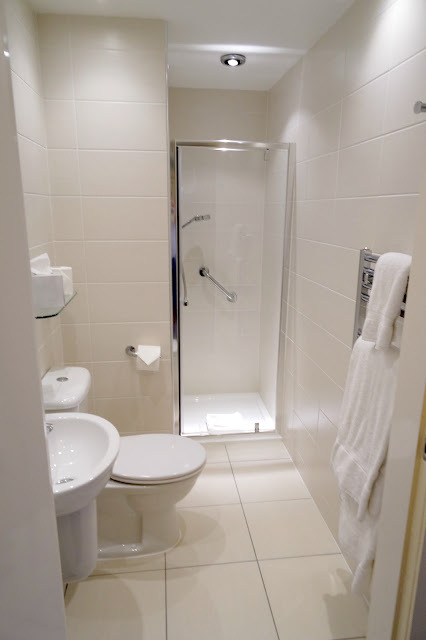 I was also surprised to find that we had two very modern bathrooms, one with a stand alone shower and the other with a bath and overhead shower. This was really convenient for us as we didn't have to wait for one person to get ready and so on. 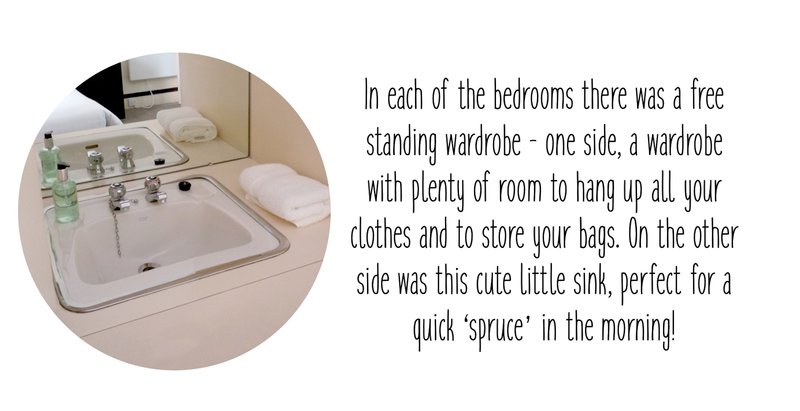 They were very luxurious and came with heated towel rails and fancy hand wash and shower gel! In our kitchen we had everything we needed. Enough cutlery and crockery for everyone staying, utensils galore - we even had a dishwasher so we didn't have to think about doing dishes. We also had a oven and hob plus a microwave so if you were staying for longer you could cook your meals instead of having to eat out every night - that would help it feel more like home. If you found yourself having more people over and needed more cups for instance all you have to do is ask reception and they will help provide you with what you need! We had a few treats over the course of the night beginning with some lovely girls from BodyNSol Aberdeen pampering us. BodyNSol have so many treatments available from tanning, eyelash extensions, nails to massages! Pretty much anything you need to help make you feel better about yourself and relaxed - they have it. A few of the girls got their nails done, Katherine got her eyebrows shaped and tinted (eyebrow envy was high) and I got my eyelashes tinted and I love them. They're perfect for when I'm needing to run out the house in the morning, all I have to do is curl them and I'm good to go! We also had the lovely Roz, a style consultant from Stella & Dot show us some amazingly versatile jewellery and accessories. 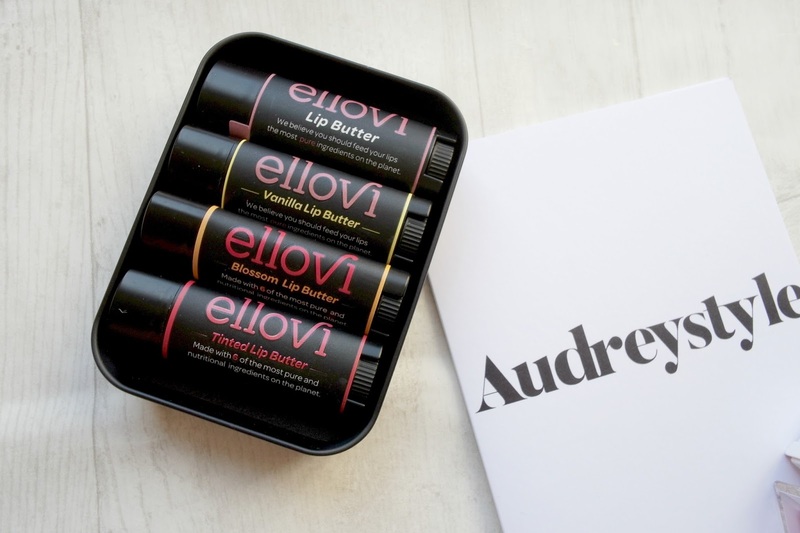 She told us more about the brand and I loved hearing their back story and how they incorporate special meaningful things to them into their line such as one of their grandmothers vintage lace has been put onto a cuff! She also gave us a little insight on some of the new trends that we should be seeing this Autumn and Winter - very exciting! Last but certainly not least Julia brought some tasty cupcakes from Cupcakes by Jo in Aberdeen. There's been a few occasions where I've had some of Jo's cupcakes (I actually had a whole heap for my 21st Birthday) so I knew what to expect! 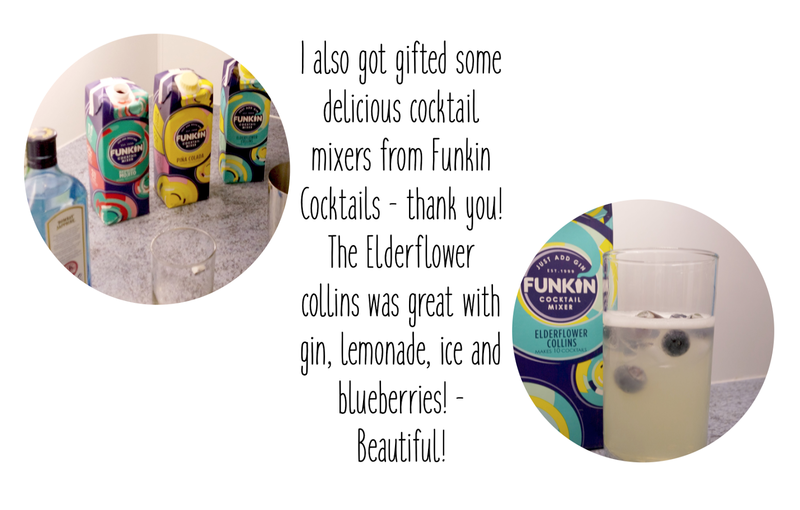 She has so many flavours to choose from and they're all so amazingly good - I finally decided on the tablet - to die for!! 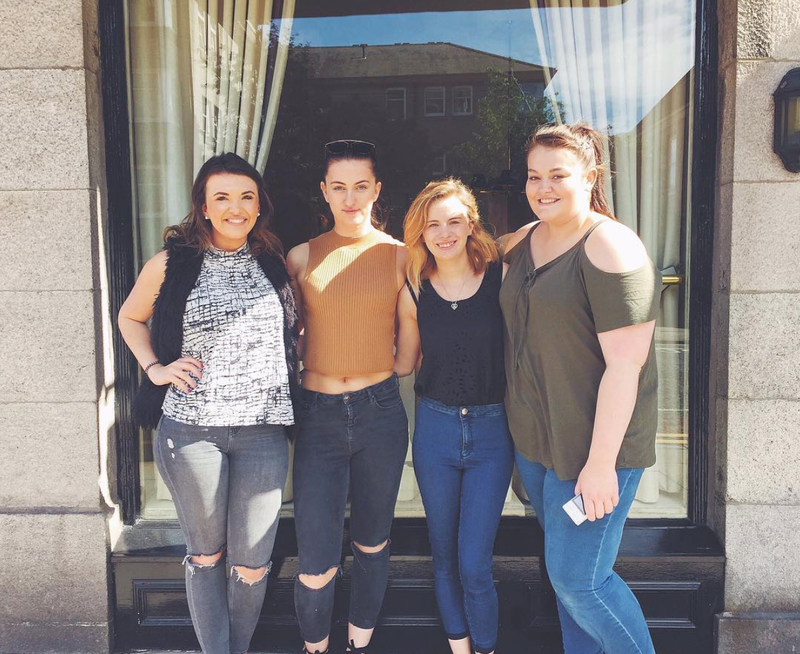 In the morning after we all chatted and got ready together we heading down to the Breakfast Restaurant where we were treated with enough food to feed an army! We could choose from a wide selection of continental breakfast foods such as cereals, yoghurt's, pancakes and even meats and cheeses. 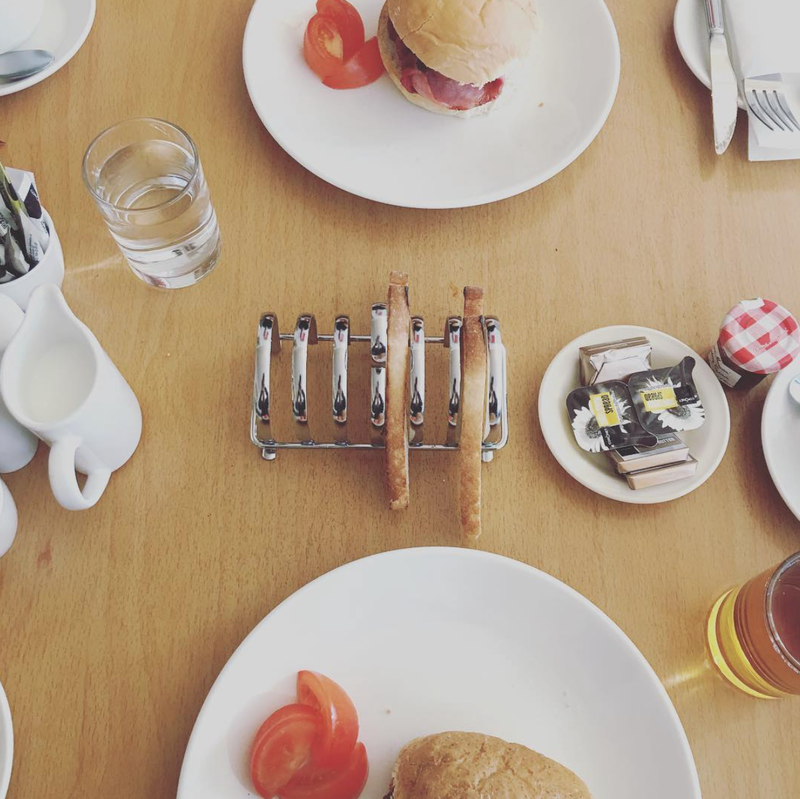 But if you're fancying something cooked they have an a la carte menu with options such as a Scottish Breakfast, eggs and even filled rolls. 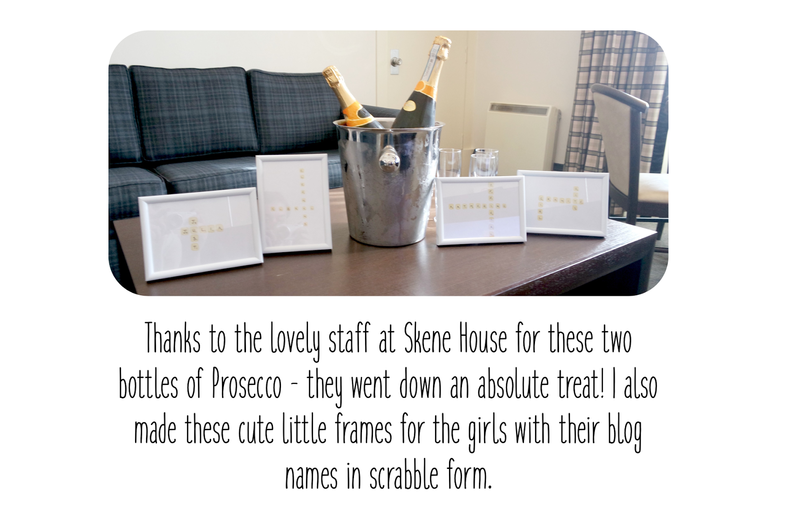 I would like to say a huge thank you to all of the staff at Skene House Rosemount for having us all and for being so lovely. Thanks to Rosalind for helping me organise such a fantastic night and for coming along and telling us all about Stella & Dot. To the lovely girls from BodyNSol Aberdeen for pampering us - my eyelashes have never looked so good. Thank you to the beautiful Jo from Cupcakes by Jo Aberdeen for our delicious cupcakes - they went down a treat! But a massive thank you to the four glamorous and hilarious girls who stayed with me, Hannah (not pictured) from Granite City Girl, Laura from the Floral Elephant, Katherine from Katherine Elizabeth Official and Julia from Just Julia. I had such a great night and a whole lot of that is down to you ladies!! 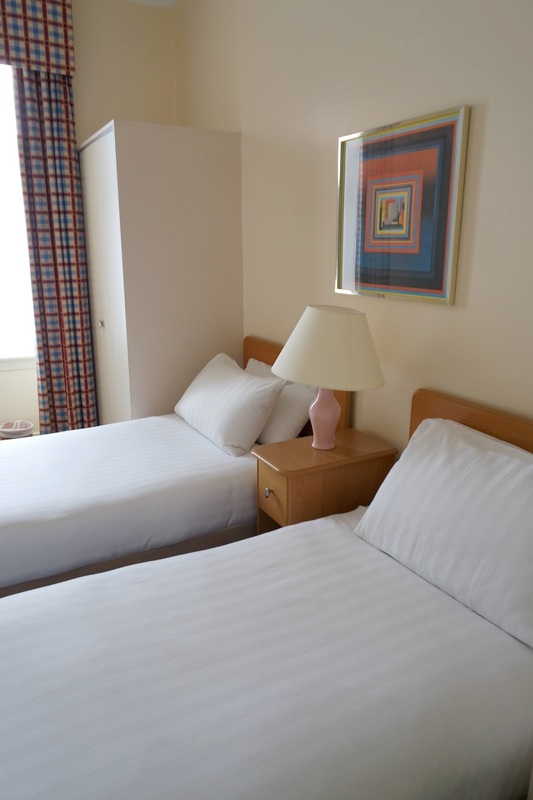 Little background on Skene House, Charles Skene launched Skene House in 1979 to help provide better accommodation than your standard hotel for families and people who had come to the city for the 70's oil boom. To this day Charles Skene is still running his apartments along with his three children. His vision which keeps true to his original is, to provide spacious and conformable accommodation at great value for money. 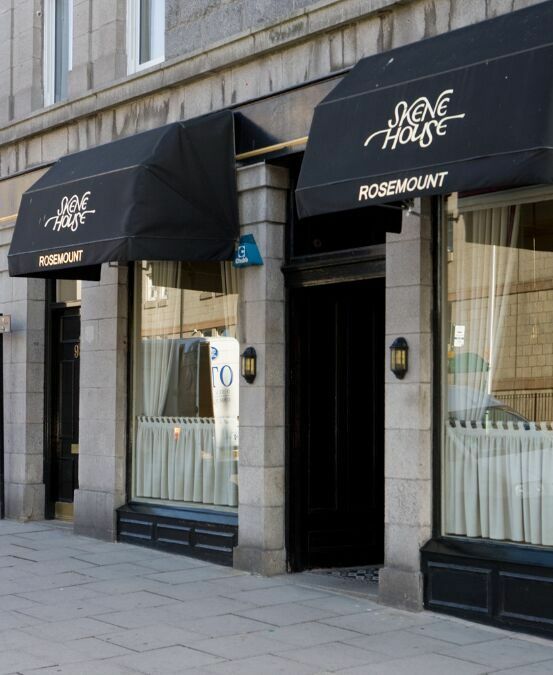 Skene House have three 4 star locations across Aberdeen, there's Whitehall in the city centre with a residential feel, Rosemount in the City Centre along with Holburn which is in the West End. Each located is designed differently with Whitehall being quite eclectic, Rosemount being very modern and Holburn more traditional. 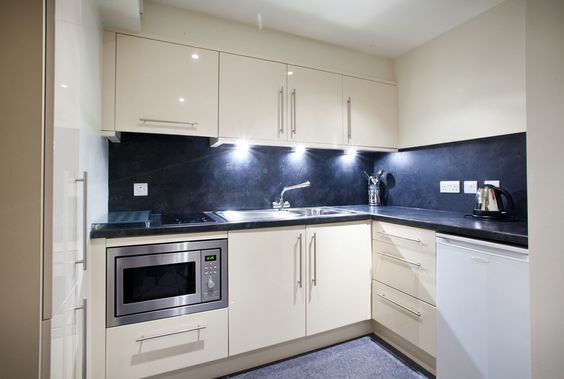 Whitehall has 49 apartments ranging from studio, one, two and three bedrooms. 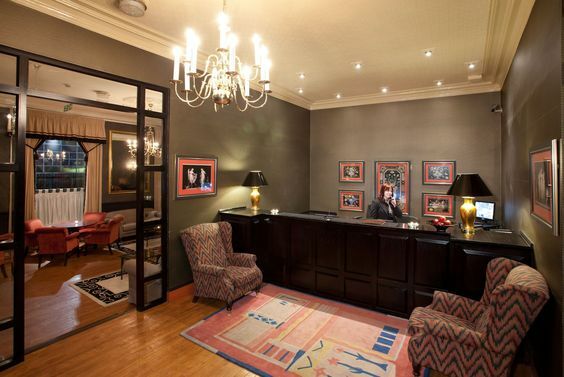 The eclectic feel provides people staying, whether it been for a couple nights or more long term and nice sense of home. 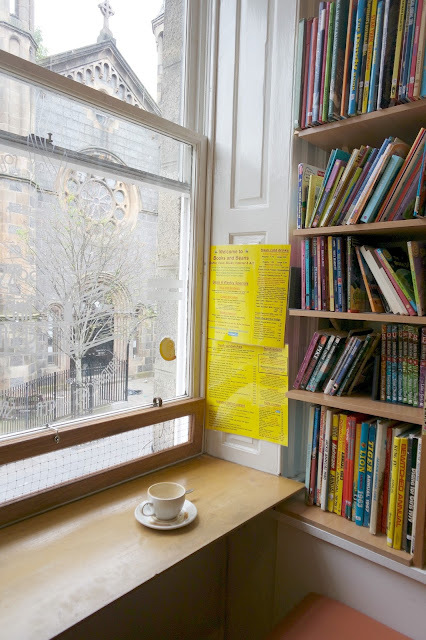 Whitehall is also very family friendly to the wendy house in the open and bright garden to the toy box in the lounge full to the brim of games for all ages. 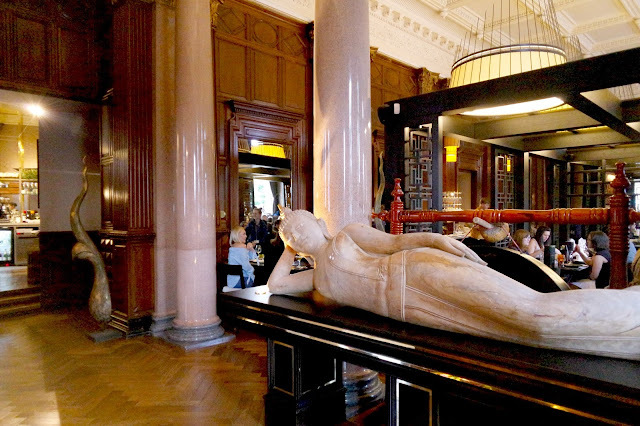 Whitehall is also home to an honour bar which is hidden behind a 'secret' door. Rosemount has 101 great apartments varying from one to three bedroom apartment designed in 7 modern designs. There is even six penthouse apartments (very plush) and six spiral staircase apartments. 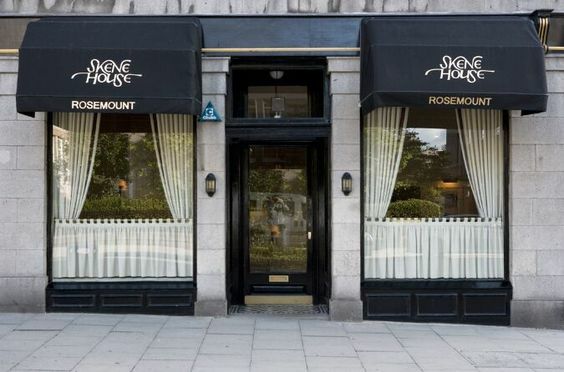 A stones throw away from His Majesty's Theatre, Rosemount really is a great location if you have plans in the city centre. Rosemount is also home to two very grand atrium meeting rooms which can hold up to 45 people and can be set in any layout you need. 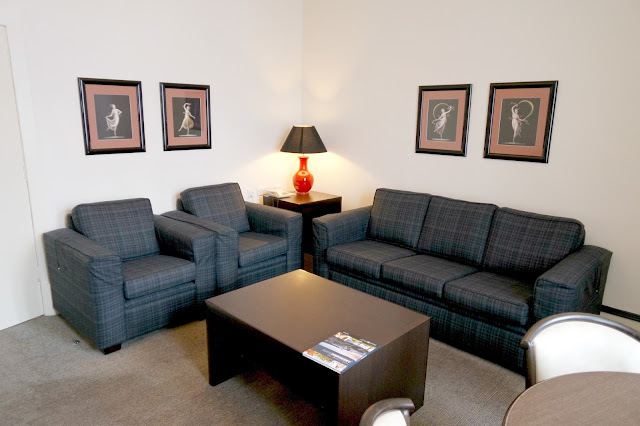 Holburn has 39 apartments either one, tow or three bedrooms and is directly across from one of their partner gyms. 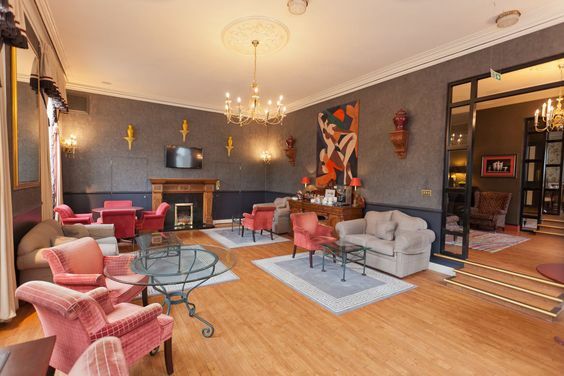 Holburn is designed very classically and definitely has a golf club feel to it which fits in with the professional business district which its home to. Holburn also has an honour bar which allowed guests to go and help themselves to a little tipple and it simply just gets added to your bill. 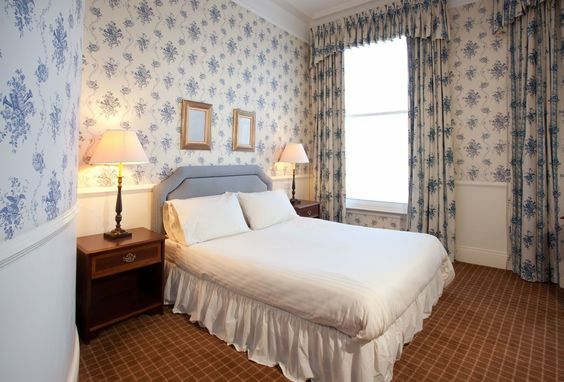 Any of the three Skene House Locations is great for anyone visiting Aberdeen for leisure or business. 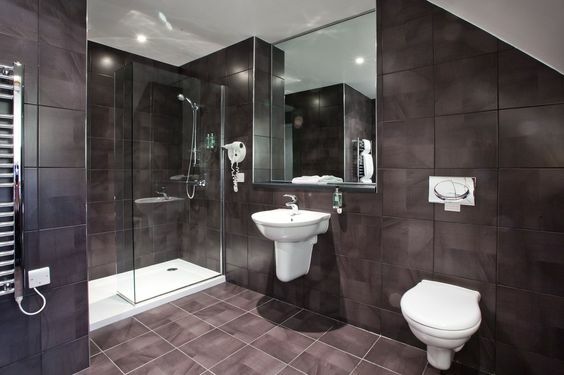 You get more space and more privacy than a hotel for better value for money. 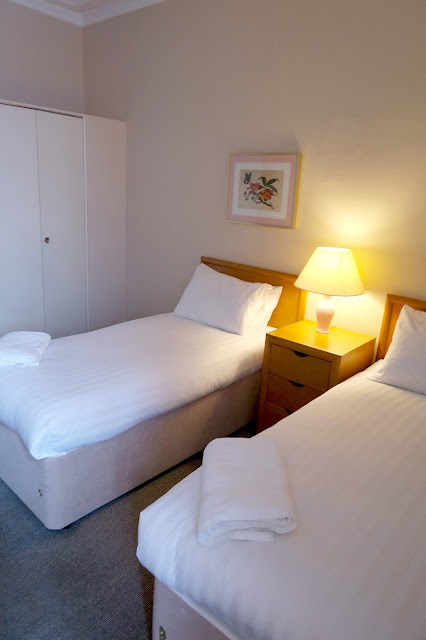 But even if you stay in Aberdeen already the apartments are great for getting all your friends and family together for a special occasion or even a night on the town. The staff and friendly and so welcoming - if you need anything they are willing to try and sort it out for you, the service really is first class. 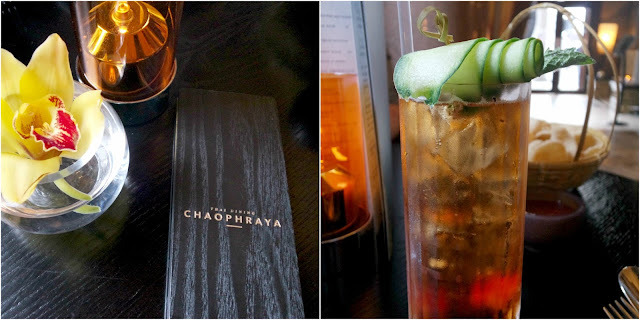 Last week an exciting email graced my inbox, it was an invitation for me plus one to go to the Launch Night of the new exquisite Thai Restaurant Chaophraya. A little bit about Chaophraya (chow-pry-ä), it takes it's name from the main waterway in Thailand. In ancient times the Chaophraya river breathed life into the families who lived along it's banks. Today the river is still regarded as part of the essence of Thailand which is where they take their inspiration from. The menu features a combination of both classic and contemporary dishes, each designed to capture the essence of the different regions of Thailand. Throughout their journey the company has invested in it's core value of 'Ow Jai Sai' which translates from Thai into 'We care about everything' - these words can actually be seen on the collars of the staff's uniforms. So as Sam and I arrived we were greeted beautifully and shown to a lovely table in the main dining room. 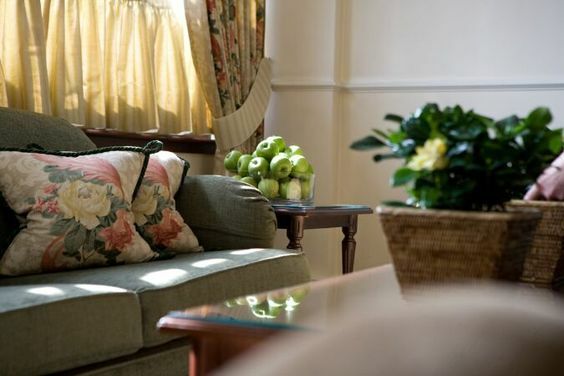 There are little tables up the sides of the grand room with wooden clad luxurious booths at the rear but in the middle there was a beautiful seating area which was very spacious and decorated tastefully. Before we even looked at the menu we ordered up some drinks, Sam went for the Chang Beer and I chose the Gentleman Badger long cocktail which had Pimms, Gentleman Badge Sloe Gin, Ginger Ale and Lemonade and it was so rich and sweet - delicious! 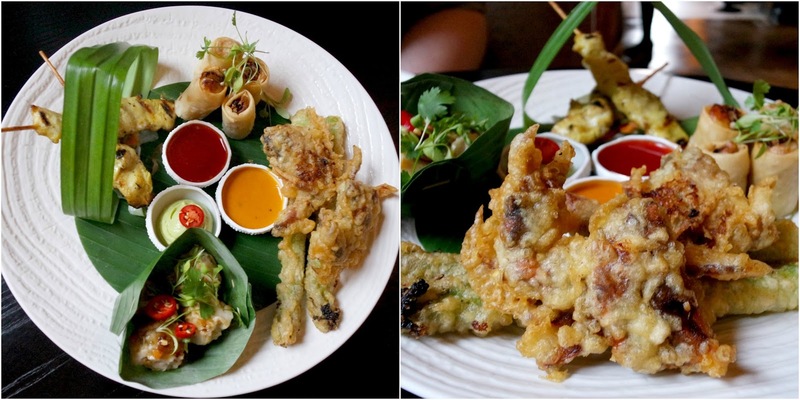 For our starter we decided on a sharing platter which is also their most popular, the Maeklong Platter. It consisted of chicken satay which was gorgeous, some pork and prawn dumplings, chicken spring rolls, soft shell crab and asparagus tempura. Everything on this platter was really good - it's a good variation of food and was a great choice. The mains! This is what secured us going back for sure. Here is the star who stole the show, Sam's main, The Chicken with Plum Sauce. First of all, the presentation of everything at Chaophraya is a solid 11 out of 10 - it's that good, see for yourself! 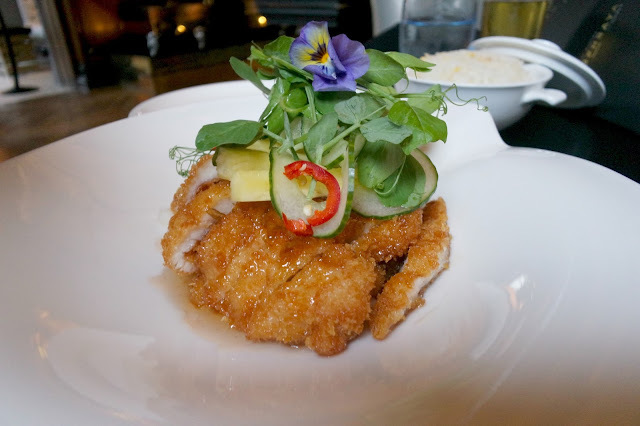 The Chicken in Plum sauce is coated in panco breadcrumbs deep fried and served with pineapple and melon and soaked in a beautiful sweet plum sauce. When we go back, not if, when, I will be choosing this! Sam ordered a side of egg fried rice to go along with it. For my main I went for the Thai Green Chicken Curry, something that I have never had before and I was pleasantly surprised. I usually like mild food but even though it had two chillies next to it on the menu to indicate medium spice I went for it. 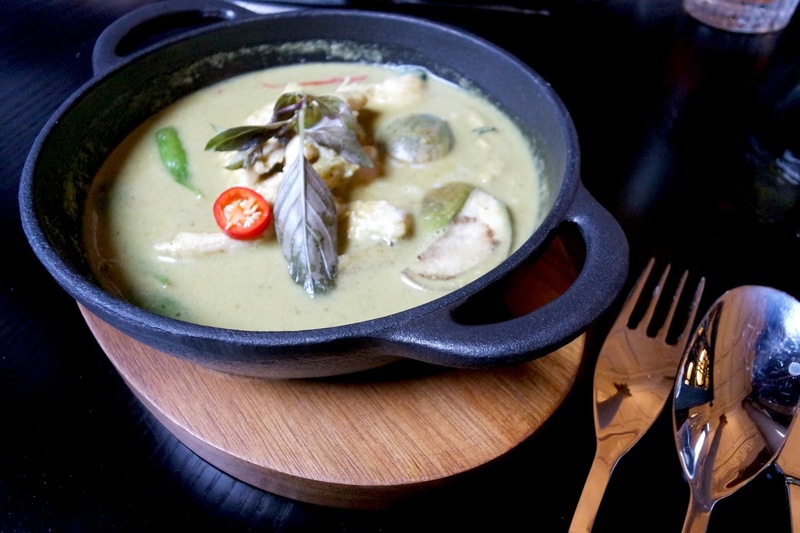 The tender chicken was simmered in coconut milk and served along with Thai aubergine, sugar snap peas and was garnished with red chillies and basil leaves. This dish was spicy but not in an overpowering way. It was full of flavour and went really well with a side of Jasmine rice, which is how I had it. Desert - we barely had room but we just had to have the full experience so Sam chose the Chocolate Bombe. 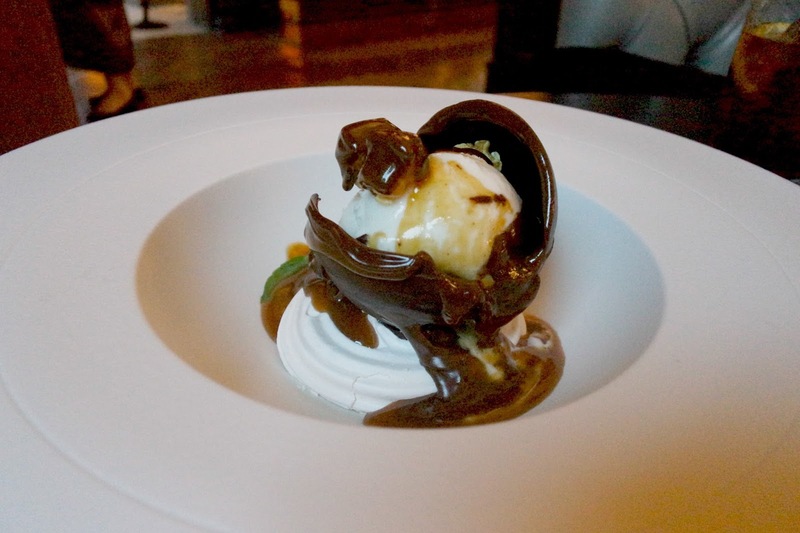 Upon arrival this was covered in a hot caramel sauce to reveal some Thai Whiskey ice cream and some honey and toasted sesame coated popcorn all served upon a meringue pedestal. There were no complaints from him actually there was practically no speaking from him whilst eating it as he was savouring every mouthful. 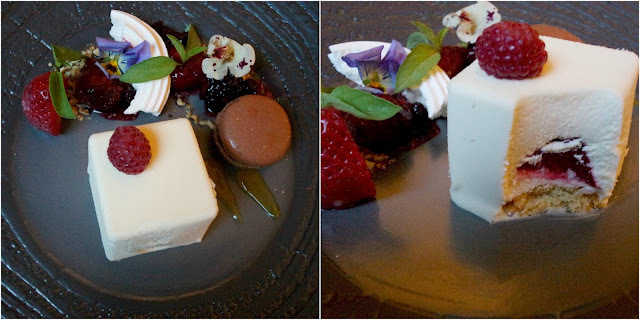 Before heading to Chaophraya I had looked at the menu and this dessert definitely caught my eye, The White Chocolate Box. A white chocolate mousse with a raspberry coulis centre on top of butter shortbread and as you can see it was beautifully presented along with fresh berries, edible flowers, meringue and a macaroon. This really was delicious, nice and light and very sweet - just how I like it. If that hasn't got your stomach rumbling then I don't know what will. Sam and I were both in agreement that this is one of the, if not the best meal we've ever had. 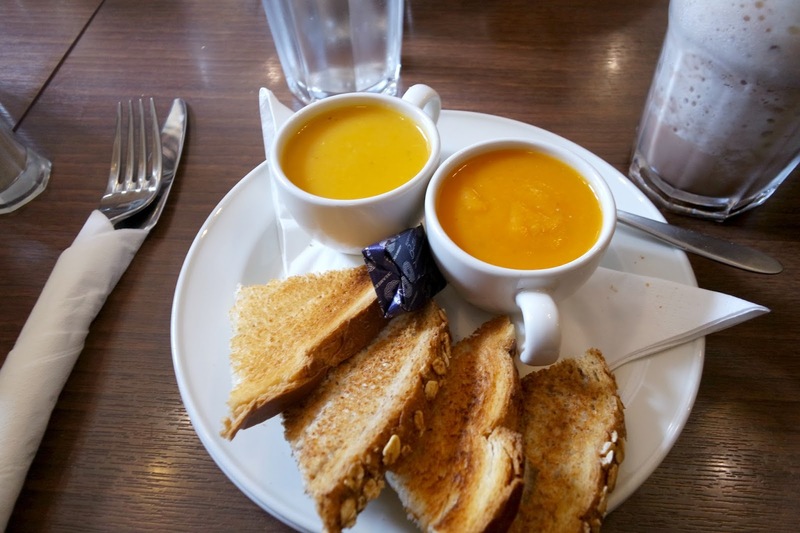 The atmosphere is relaxed and welcoming, the staff are polite and make sure you have everything you need (they will even crack your napkin). I have no complaints. Thank you so much to Chaophraya for having us along, we will be back. 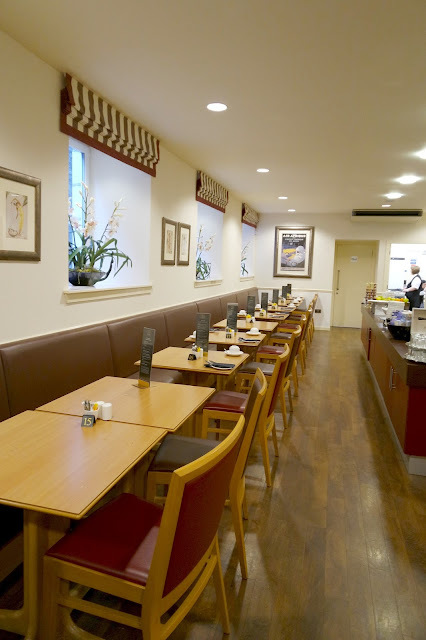 You can find Chaophraya on the corner of Union Street and Union Terrace Gardens, previously known as the Monkey House.